“This is the most bittersweet day of my life,” she said. Until I heard that this morning, I don’t think I was ready to admit my little girl is no longer that. At 6 a.m. her alarm went off. Her baby brother called her name and finished the job the alarm clock couldn’t do. She was awake and ready to do something we have done for 4 years straight. She did her hair, her make-up, a load of laundry, packed up her bags, grabbed her coat and made the statement that made this real. I realized this is it. I know this is the last time she is going. I know she makes the same commute 6 days a week that she will make to get there today ( the festival is being held in the same building where she attends classes). I know she will be with hundreds of people we see every year at this time. This is all so much the same yet seems totally different. With her words I am struck with that difference, and I now grasp the weight, that this it for her. The Delaware Dance Festival is held around this time every year. 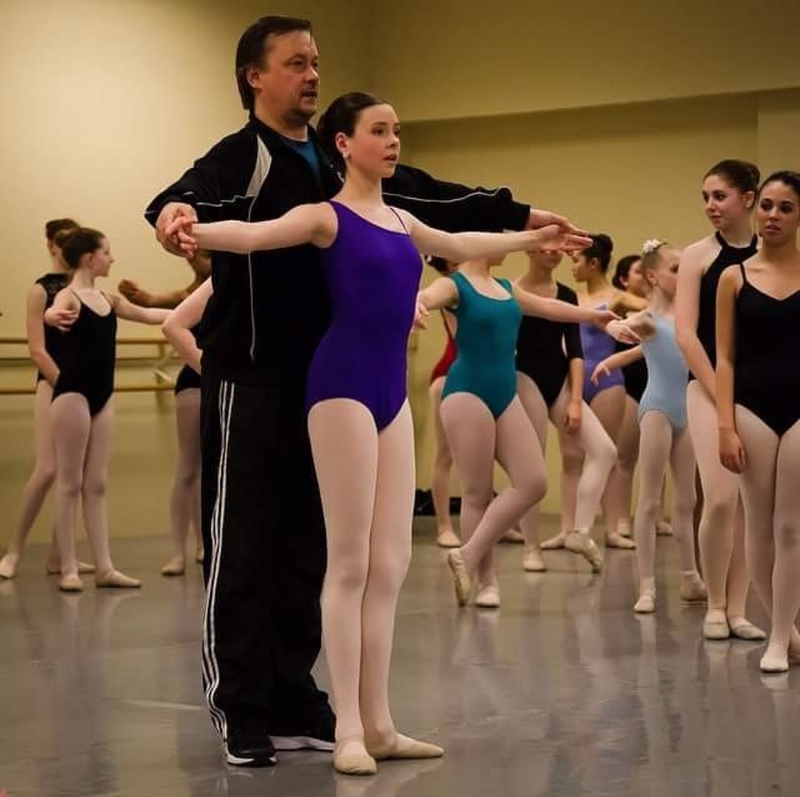 Every year there are scholarship auditions, master classes, and every participating studio performs. Every year she meets new friends. Hugs and reconnects with those she has made in the past and every year, my daughter gets to grow. The reason it may be so bitter sweet to her may be that this gives her a chance to connect to peers. Many of those peers have her same drive, share her same interests. It may be that it stretches her. It gives her the chance to learn from teachers outside of her training and in other styles outside of her core technique. It may be that she gets to perform in a group of dances for dancers and so to for herself. Possibly the chance to see other girls outside of her own studio walls and what they do or how differently they do it gives her new energy and ideas about what she does. And this is the last time she gets to do it. But I think it’s more. This is a graduation for her in a sense. Passing from student to a young woman pursuing a career in what she loves, ballet. It is a rite of passage of sorts. She will stand on the stage at the end of this thing and be done. Once she crosses the stage this part of her learning is over. My oldest daughter Nova moved from her home studio to a studio much farther away from home… in the middle of the year. Just before festival. She was “between” studios, if you will. When she went to the table to register her new school director asked why she wasn’t with her “other” school. There was no performing because she wasn’t in either studio’s piece because of the timing of her the change. She had friends at both places and from studios everywhere in the surrounding states (those she had met over the years mostly because of this very festival) but as a student she was still “between.” Festival would be a turning point for her. When it started there was no more in between. And during last year’s festival she would truly pick a path and have to find a way to walk it. A career in dance is not easy. A choice to do that sometimes means you have to make changes. You have to learn from different teachers and coaches. You can’t just stay in one place forever. The moving around in her situation would put us in the middle of a lot of things. Sometimes following a dream starts with a choice like this. It brings questions that might not seem obvious right away but experience with seminars and advice from master teachers at regional festivals sometimes give not just answers but the courage to jump and keep asking those questions as you figure it out. Last year at festival she was pulled aside by a prominent dancer of our time. A master teacher and ballerina that did things in ballet no one ever had. She is a force, an inspiration and she gave my daughter words to hold on to. She believed in her. She told her she IS a dancer and that she would find her way to making this her career if that is what she chooses. I know my daughter has the courage to stand on her own two feet, and a foundation that will keep her there, but she had just given her more. She gave her the wings to move. To take that foundation and not be afraid to try and do bigger things than a lot of people believe they can. Festival brought her to my daughter and she brought hope to my daughter. 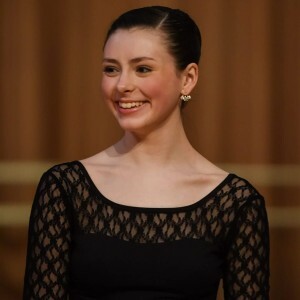 The timing of the studio switch not only meant she wouldn’t be dancing in a festival piece, it also meant going to Youth American Grand Prix as an independent student while both of the schools she was between were there too. Having been homeschooled, our daughter attached to her largest friend group at dance, and it meant she was “leaving” them and the studio she grew up in. Of course she was not abandoning relationships but sometimes teenage girls think when a friend leaves the studio they might not just change location but drop them and jump in to have “new” friends at new places. Add to this the chance for her to do a show with a studio company totally separate from the new school and the old, where she could walk to rehearsals on the weekends which led to her having a performance on one of the rehearsal days for the new studio’s recital which led to her being told she would not perform in that and top it all off with a job through the week, and she was pulled a lot. Or for sure felt like she was. Like she wasn’t fully a part of anything and not officially a part of any other. The good news was that starting the next school year she would start full time with the school she switched to before last festival. This was a Fresh start. It seemed much easier to pick up, to start fresh and to fit and to belong. In reality, it became much more difficult when we started a new school year. Not only did she (we actually) miss friends and teachers near and dear to her, but there would be no time for connections or really much of anything else. This year she would begin going to this new studio over an hour away without the comfort of a shift from one place to another in the middle of season’s kind of keeping her foot in familiar studio doors. Emotionally, that was hard. She would be driving herself on an evening commute most adults find tedious. She would have to work in a restaurant every day to help pay for classes, pointe shoes, oil changes, gas, flat tires, her phone bill, and a lot of little things in between. She would have to finish school work for her Senior year of high school before work, pick up another teenager from her school, make a commute to the studio after already having put in a full day at work and school, and be signed up to do this 6 days a week. Add to all of that everything else a normal teenage girl has on her plate and mix it with a large family (8 kids, 7 at home plus mom and dad) and you have busy most days, and a mess other days. In order to do what she wants in life she would, we would be willing to deal with the messes. Flash forward to where she is not between to where she has ALWAYS belonged- Dance Festival. Where for an entire weekend all of that disappears. She is in one place with likeminded people. She is surrounded by what she loves. She can just Dance. A dance festival that is made up of Hundreds of students who are there with a love of dance and an eagerness to learn,teachers there who are excited about fresh faces, and many organizers and volunteers who have prepared all year for this. Those people who are there for these kids to grow and learn and to maybe have the chance at a scholarship that will get them to a place they could never have gone without a scholarship, or to receive a scholarship to help send them to a school or a summer intensive or master classes that will grow them are like family. And though Scholarships are amazing for these kids, the kids who may never receive one have won. Those kids who soak in the teaching and the friendships have won the infectious spirit of the comradery that fills the classes and an energy that you don’t seem to get at a lot of dance conventions or competitions because this is us. This is our region. These are the boys and girls you have grown up with in dance. People you see at shows, and master classes and auditions in the area. These hundreds of people who become your mentors and friends have forever found a place in your heart. The encouragement whether through individual correction or just being in the room with inspiring people is a prize for everyone in attendance, parents, students and teachers alike. Everyone is here, together and there is no in between. All of HER teachers are with her. All of HER friends are everywhere she looks. This is a place. Where my daughter has always felt connected. This is a place where she has always felt the freedom to search, and reach, to be who she is, to grow, to shine, to dance and not just to dream but to grab a hold of those dreams and keep running with them . This is the most bittersweet day of her life…. so far. This is when I, as her mom realize that as she has been growing before my eyes, as she has been working; working hard to reach what might just be a dream, that this is it. She is no longer between. This is a marker for her. This huge part of her childhood and her journey toward making dreams come closer to reality. This is the moment when she takes off and just keeps moving forward. This is the first day of her last dance festival. This is the most bittersweet day of her life.